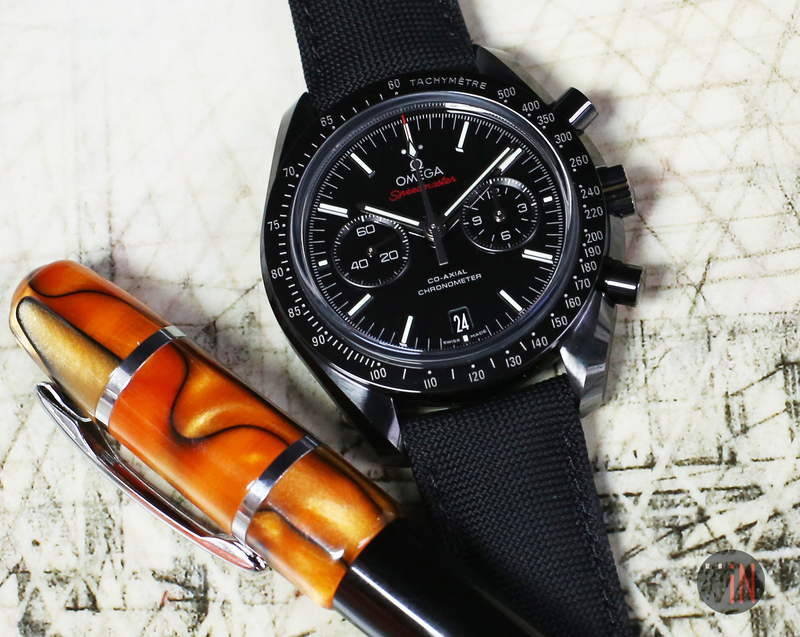 Today, we’ll be reviewing an iconic Moonwatch by Omega for those who enjoy walking thru life to “different tunes”. 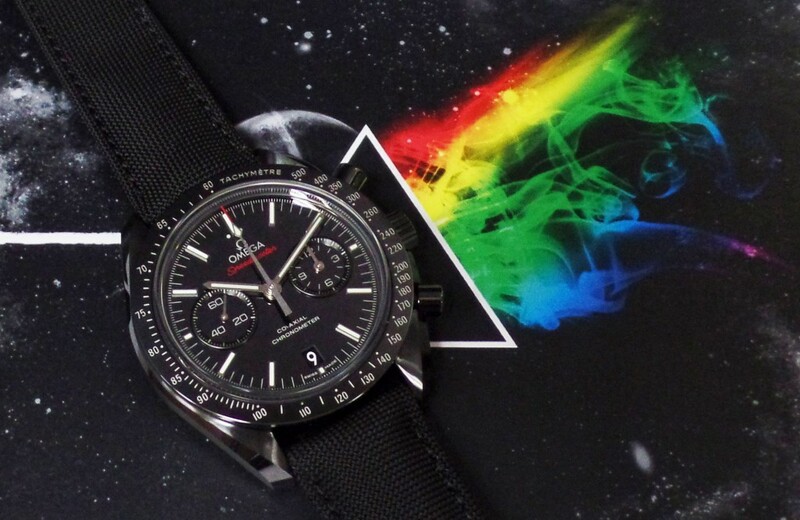 We’re alluding to the iconic “Speedmaster Dark Side of the Moon” edition, currently iN stock at EiT. 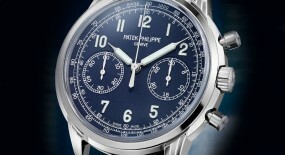 Back when this watch originally debuted it was one of the star featured watches, at the Baselworld 2013 edition. 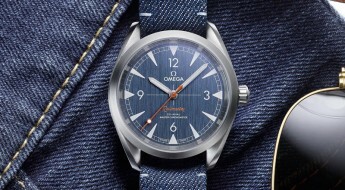 Many called it the most revolutionary unveiling by an Omega watch, since the late 90’s “Omega X-33” aka “the Mars watch” debut, which caused much talk due to its digital dial, way before this new trend of smart-watches began to pop-up after the release of the first Apple watch. 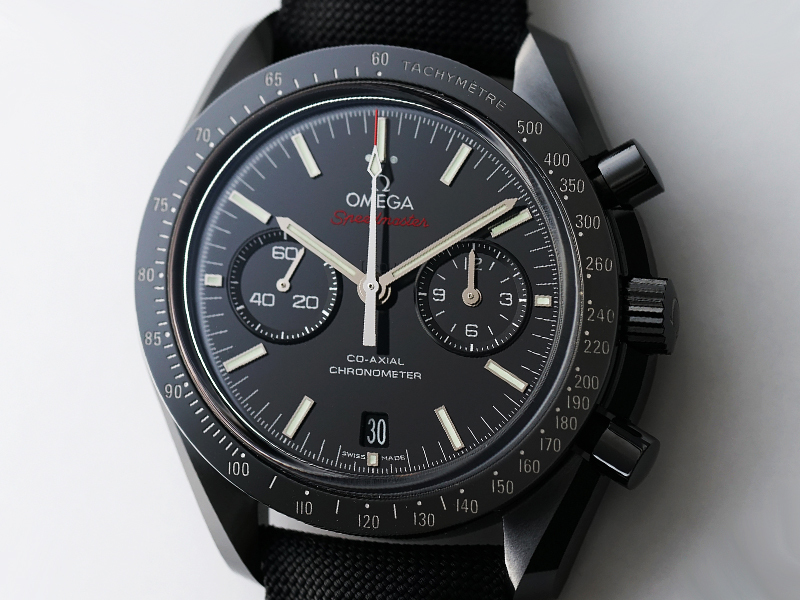 But, unlike the “Mars watch” this “Dark Side of the Moon” even 4 years after its initial release, is still a head turner and a goal watch for many horology enthusiasts. 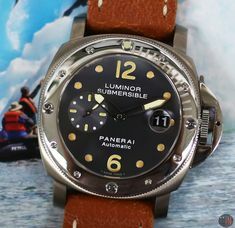 Retailers are still struggling to keep and re-stock this watch in their inventory as the produced pieces are all gradually getting absorbed by the end-consumers throughout the market. 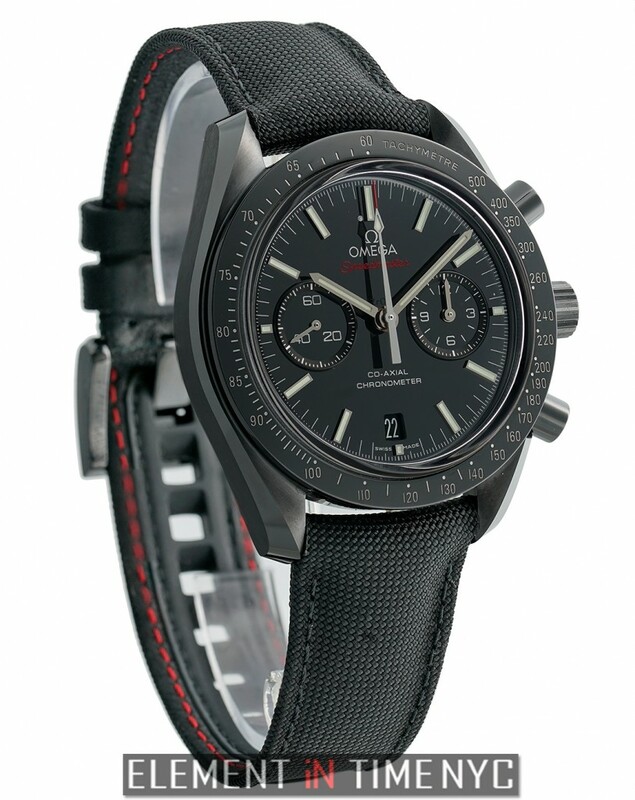 So, let’s get one thing straight, this may be a Moonwatch, but this “Dark Side of the Moon” is very different from the original Moonwatch. 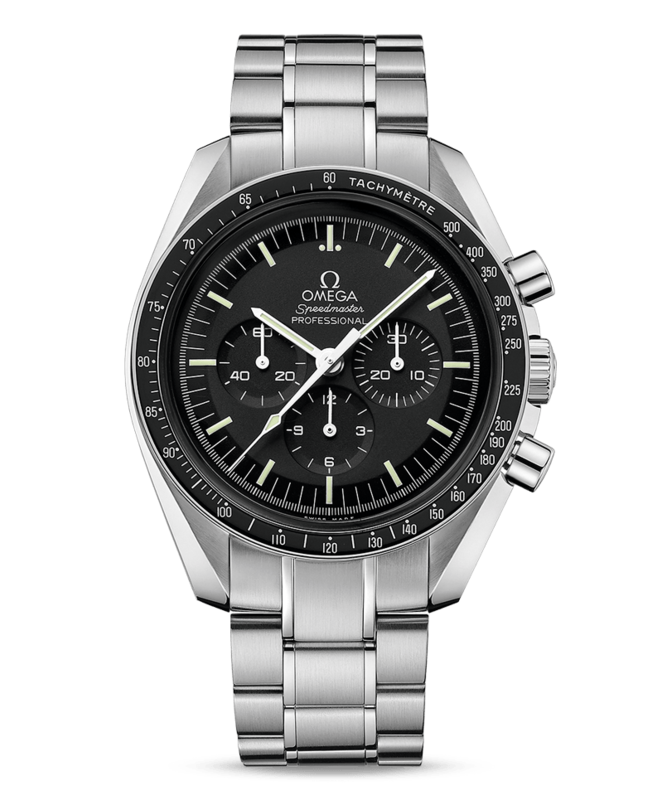 Omega has even gone as far as to emphasize this timepiece is a tribute to the ‘mystery and allure of space’, instead of a historic reference and homage to the “Omega Speedmaster” issued in 1969 that would become renown as the “Moonwatch”, after its voyage with NASA to outer space. 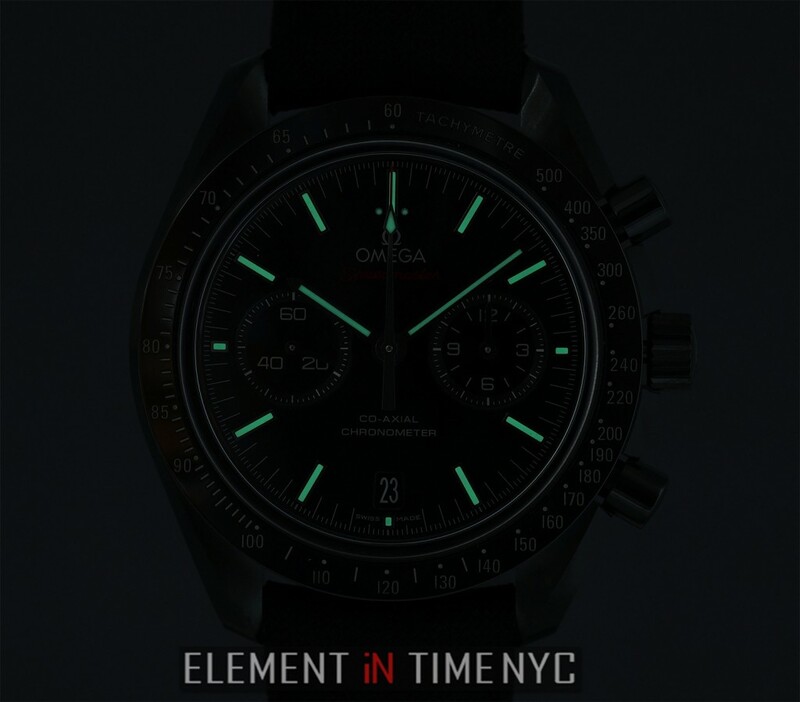 Instead this new Onega watch is about ushering in the Moonwatch for more contemporary consumers; as well as showcasing the most current horology craftsmanship. 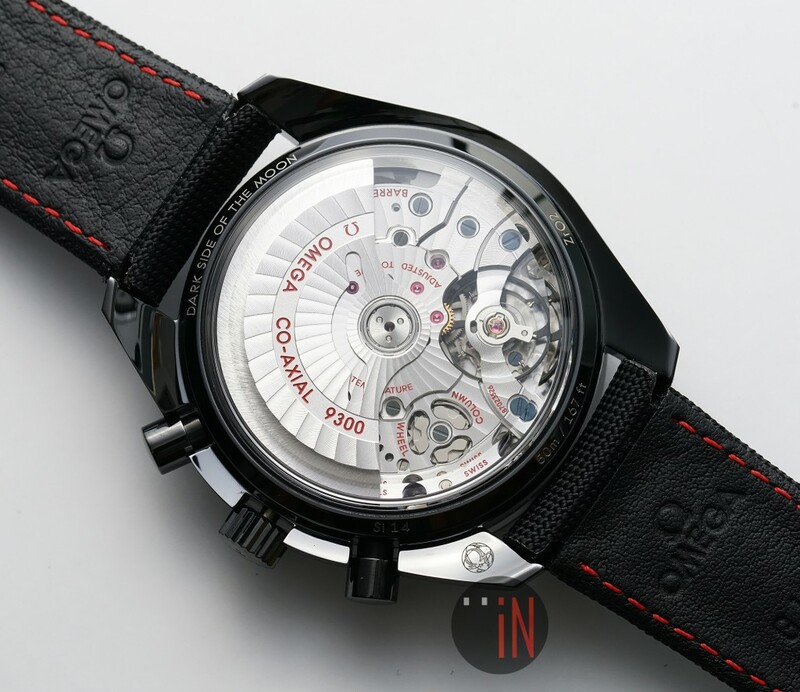 The 44mm case is made of black ceramic with a transparent case back, which allows to view the inner workings of the mechanical movement. 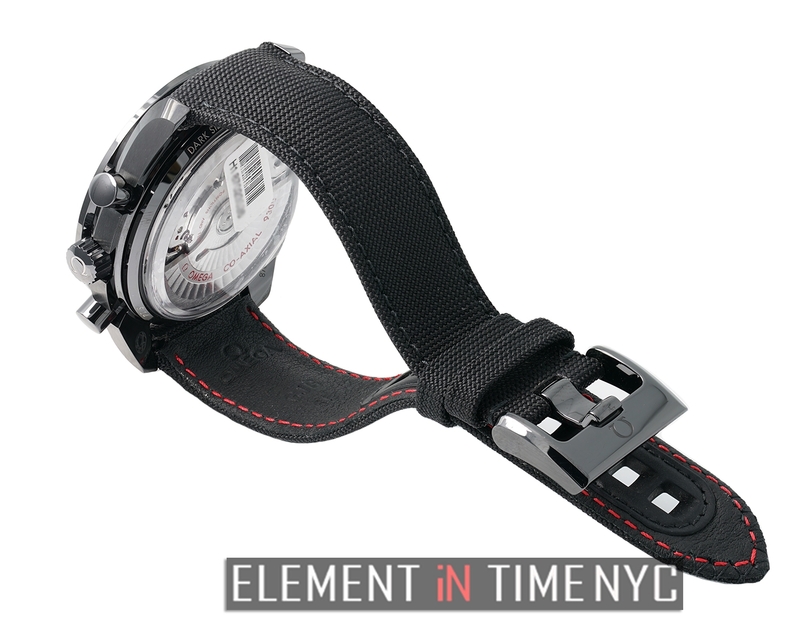 There is also a fixed ceramic black lacquered bezel mounted to the case with a tachymeter scale engraving on it. 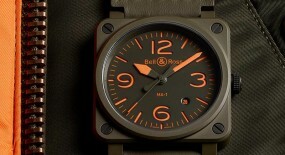 This is a bigger diameter than found on the more traditional “moonwatches” that come in a 41mm casing. 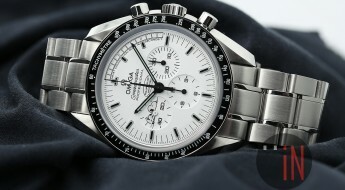 But, even with such a large size, this model actually has a lighter weight due to its use of ceramic, instead of steel or other precious metals. Ceramic tends to fall between aluminum and steel, in terms of its mass weight and feel. So, despite the 44mm diameter of this timepiece, it can wear very well on a smaller size wrist and its ceramic material provides a surprisingly light weight to it. 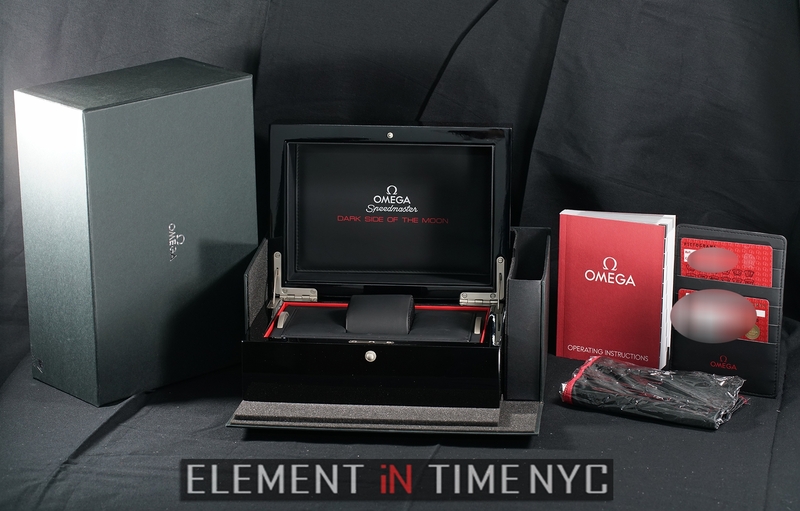 While design wise Omega has applied mixed contrasting matt and polished finishes on the: lugs, case sides and lug tops. A small but highly effective detail that has embedded this “dark” case, with many more tones than it would have held otherwise. 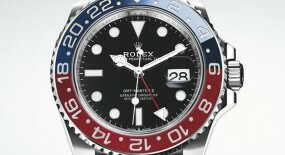 It’s also been equipped with two push-pieces on the right-side of the case and a setting crown in between them. 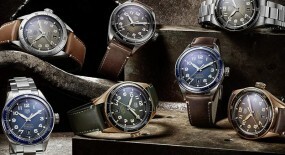 Water-resistance on this timepiece can reach up to 50 meters (150 feet). 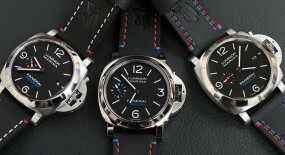 Ceramic has really been an innovative material gaining traction in the horology industry. 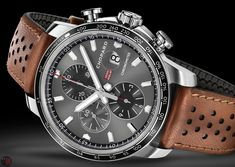 It is highly resistant to scratches and scuffs, preventing a premature aging thus securing a longer longevity for its watches, then those crafted from other source materials. 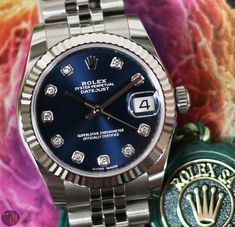 That in combination with a sapphire crystal automatically removes a lot of the fear associated with blemishes due to daily use. 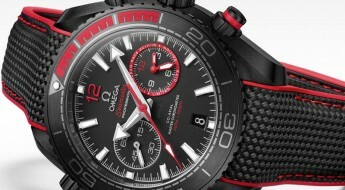 Sports watches are intended for everyday wearing and Omega has token that in to consideration with this magnificent timepiece. While the original Moonwatch was very far from this resistance level, even though it did go to the moon and back once. 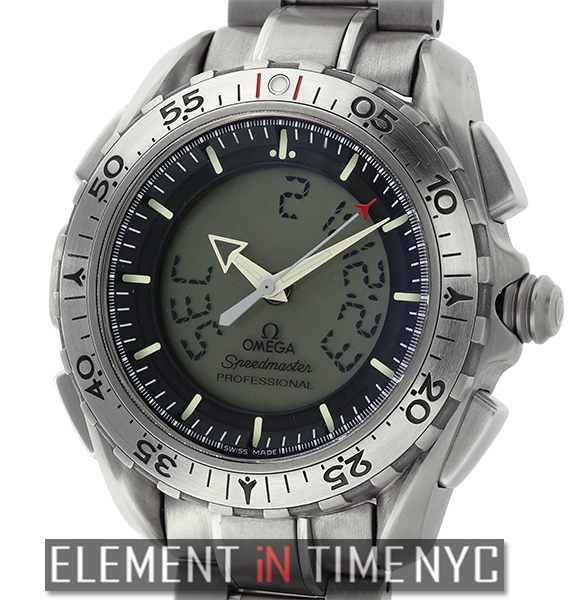 At the time the watch was conceived to survive the mission and all the strains associated with space deployment. 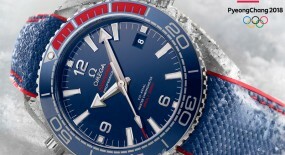 But, Omega was much preoccupied with the watch staying intact and less so with it gaining a few scuffs or dings. It seems a space voyage can’t compare to the wear and tear we humans tend to apply on most products. And this “Dark Side of the Moon” was definitely conceived with terrestrial exploits in mind. 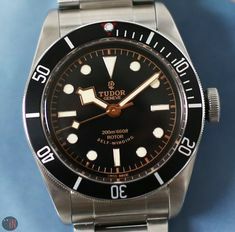 Time is exhibited on a glossy black dial with hour index markers, followed by smaller white minute index markers circling the dial. 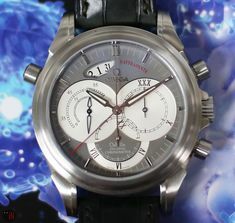 There are two sub-dials: a mono-counter featuring both hours and minutes at the 3 o’clock position (thus allowing Omega to create the appearance of a vintage twin-register chronograph, while still featuring the hours, minutes, seconds indications of a modern tri-compact chronograph); and a standard sub-seconds at the 9 o’clock position. 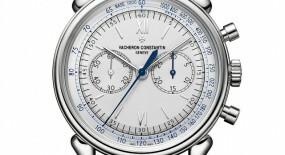 The 18k white gold hands and hour index markers have all undergone a luminescent coating, for an enhanced legibility. 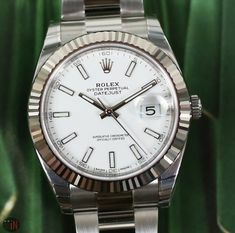 There is also a date aperture at the 6 o’clock position, another distinction form the original Moonwatch which had none. 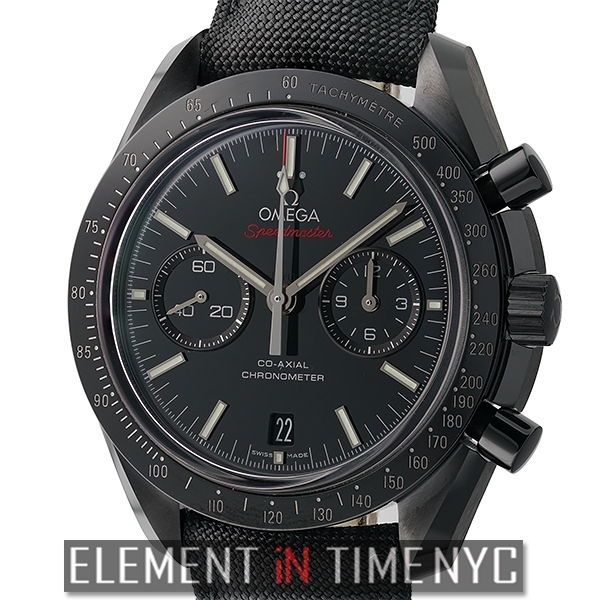 Finally breaking up the overall dark black and white color-scheme is a bit of red in the form of the “Speedmaster” inscription, under the Omega logo aligned with 12 o’clock position and the red tip of the chronograph hand. 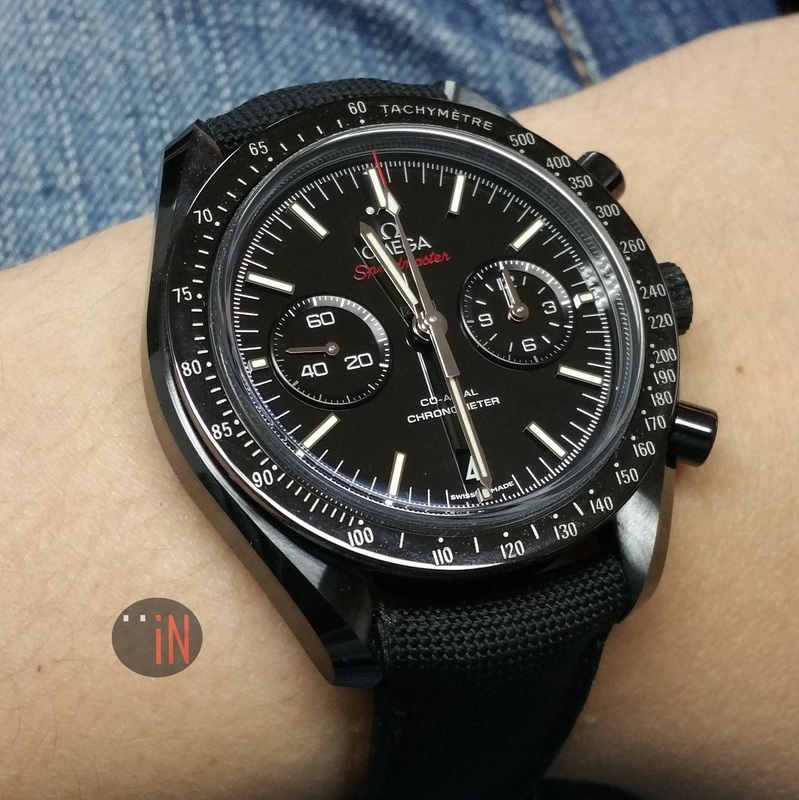 This “Omega 44mm Speedmaster Moonwatch Dark Side of The Moon” (Ref#: 311.92.44.51.01.003) is powered by a self-winding mechanical movement, caliber 9300 with 54 jewels and 28,800 Vph. 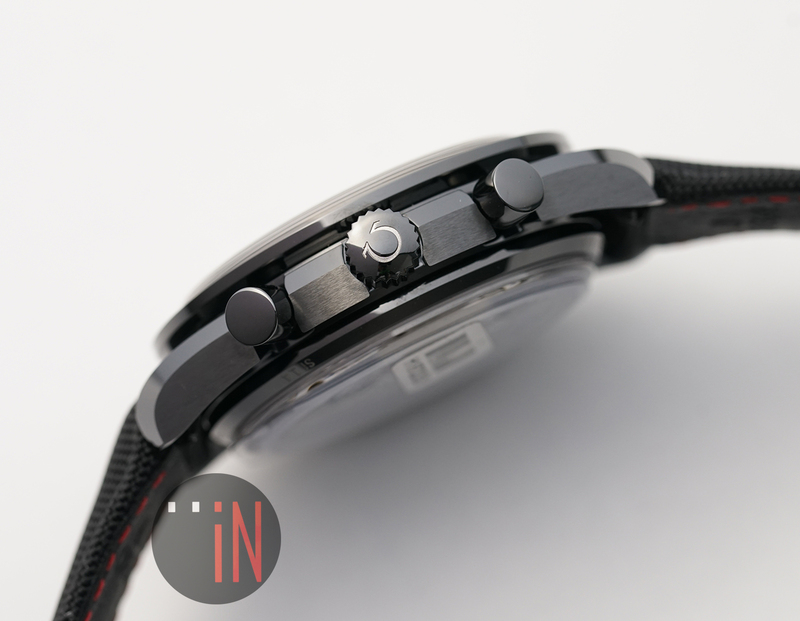 There is a METAS certified version of this movement, but that would be the caliber 9900 or 9901. 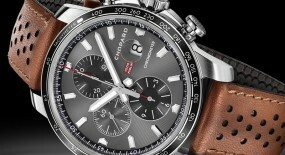 Power reserve on this timepiece can last up to 60 hours, when fully wound. 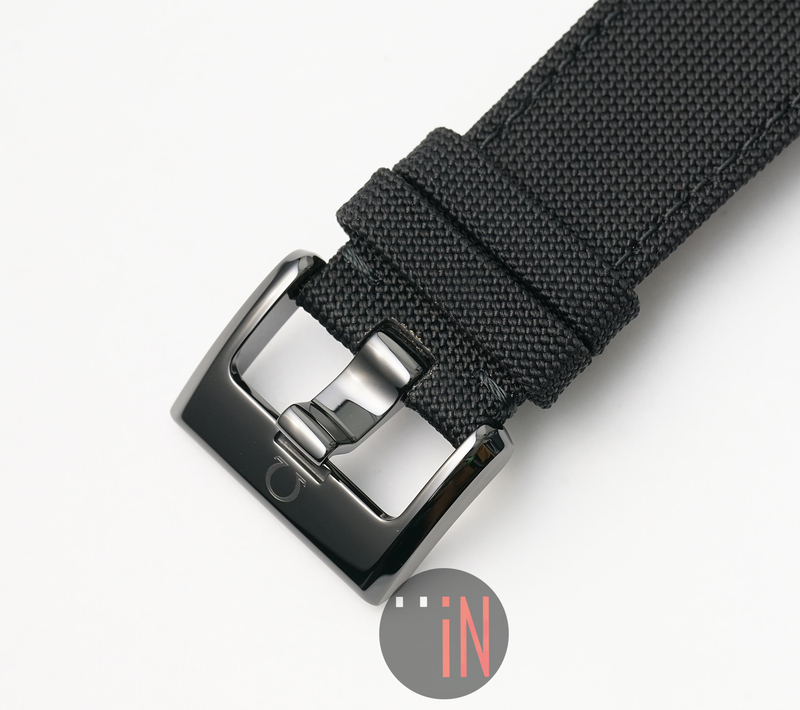 Currently mounted to the watch is an Omega black coated nylon fabric strap, secured to the wrist by an Omega black ceramic tang buckle. 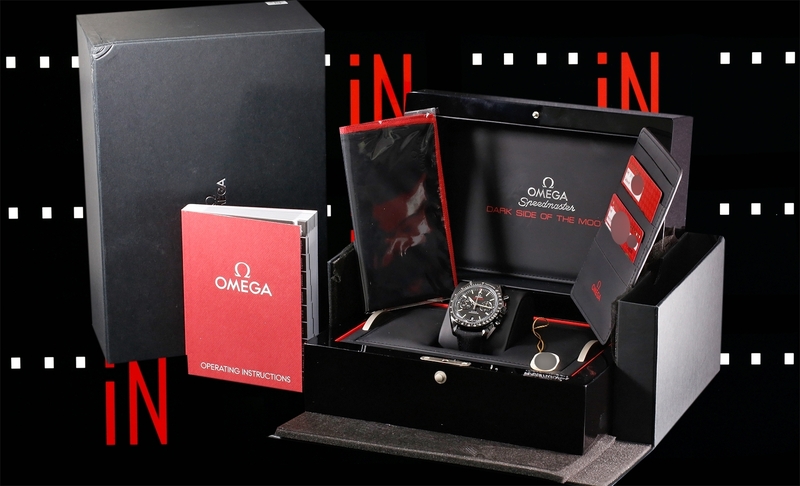 This watch also includes its original special box and papers. 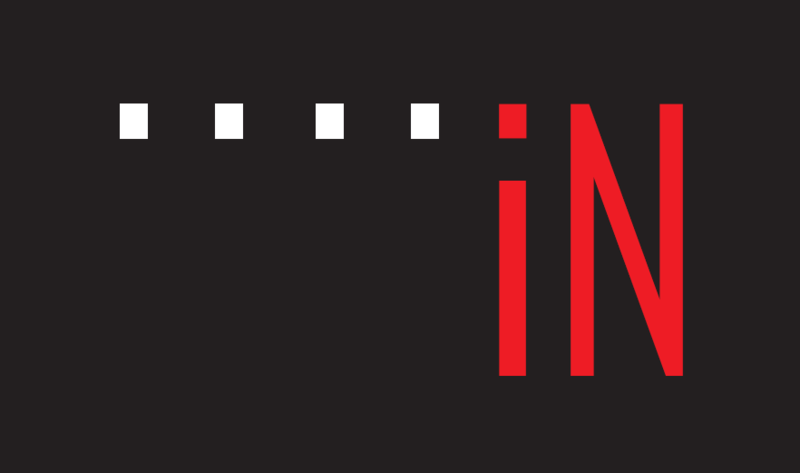 For more up to date information you can visit the official Omega website here, or the EiT listing here.